Live in Town. Play in Town. Shop in Town. Welcome to Work The Ridge. Our coworking, shared office space is located next to the Post Office in downtown Ridgefield. Our goal is to provide you a simple work space without wasting any of your time or money. Everything you need to start working is included - WiFi, Utilities, work station and best of all - location. Being downtown you can walk to Post Office, coffee, lunch, shopping or just take a break at Ballard Park. Ridgefield is an amazing town. At Work The Ridge, we strive to be a vital part of the economic community. We have created an option for people who want an inexpensive/flexible place to work, an alternative to working at home, still be in town, be part of the economic community, and not have to commit to long term leases. Park your car for the day - work, run errands, shop and eat all within a short walk. Even better, ride your bike or walk to work and get the best out of your life/work balance. Our building at 22 Catoonah has been completely renovated and furnished to provide an open, convenient, shared and collaborative work environment. 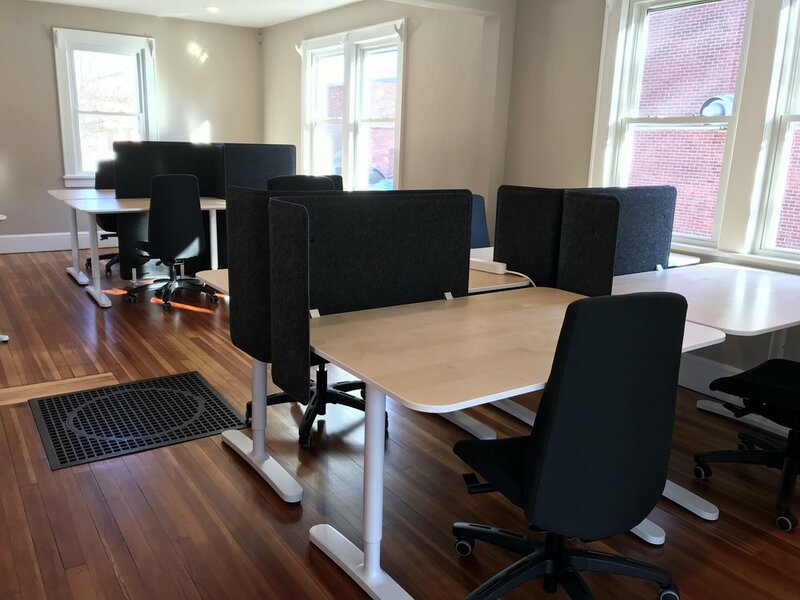 Work The Ridge is a Coworking shared office located in downtown Ridgefield, CT. As a community based business center we provide all inclusive monthly dedicated desks, open work stations and cafe seating. Our Coworking Space offers all inclusive monthly dedicated desks, and cafe seating. Conference room is available for members only. Please email to schedule a visit or with any questions.